Classic Stone Staircase & Glass Balustrade. 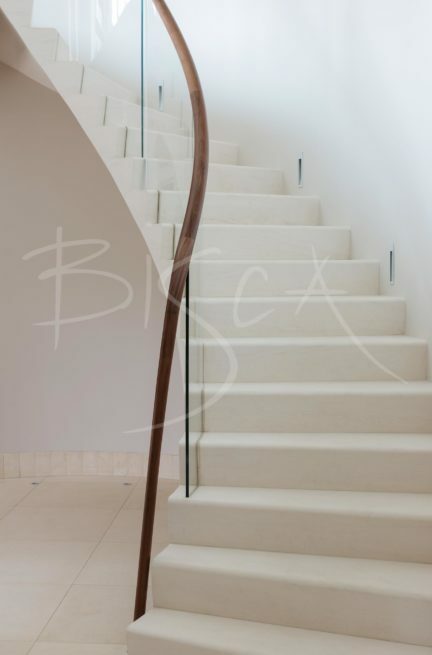 A feature classic stone staircase with glass balustrade for the hall of a new build property. The curved steel carcass is clad in cool toned stone. 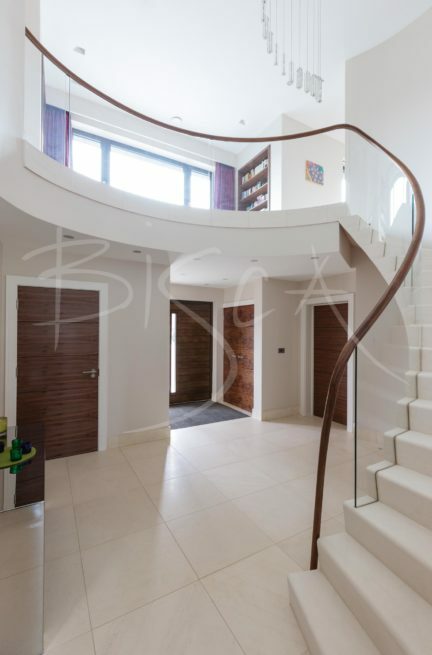 A contemporary glass balustrade and timber handrail complete the look. The handrail and newel are hand polished to a fine finish bringing out the beauty of the grain. 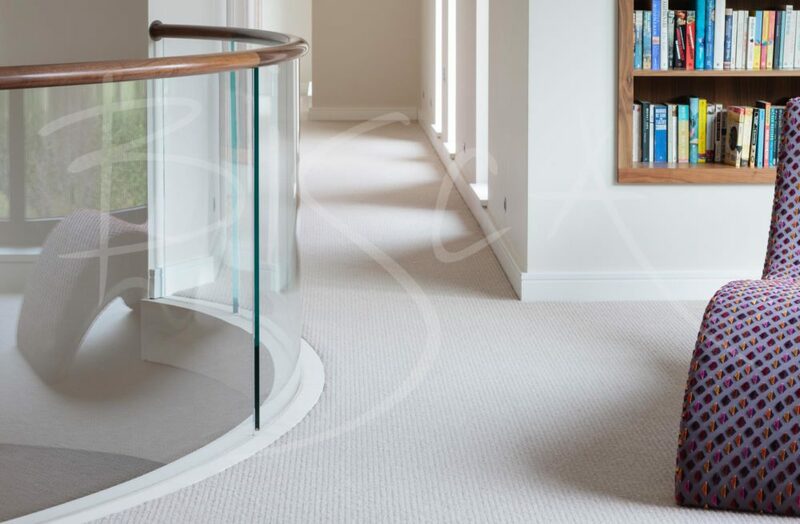 A low iron glass balustrade fixes neatly into the treads without visible fixings. The client firstly considered concrete stair options. Elegance, quality of finish and accuracy were very important to achieving the look they wanted. Because of this steel was the obvious solution. 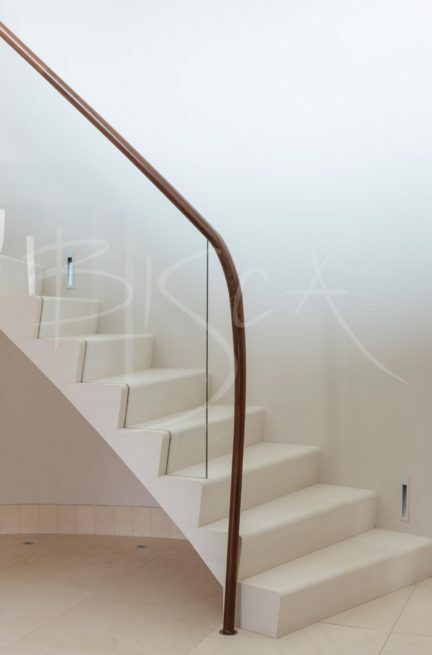 This staircase uses premium low iron glass for best visual clarity. Standard glass, with a slight green tint, is also available as an option. For enquiries about this project, please quote reference 3043. For more advice on stone staircases speak to a member of our sales team.